The primary goal of a bit budget is to use the entire space available on a DVD. Wich compression rate should be used for video and audio and however can one obtain best balance between picture/sound quality and available space. 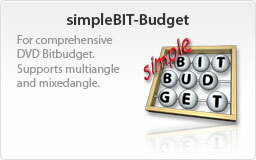 Now simpleBIT-Budget calculates it for you. 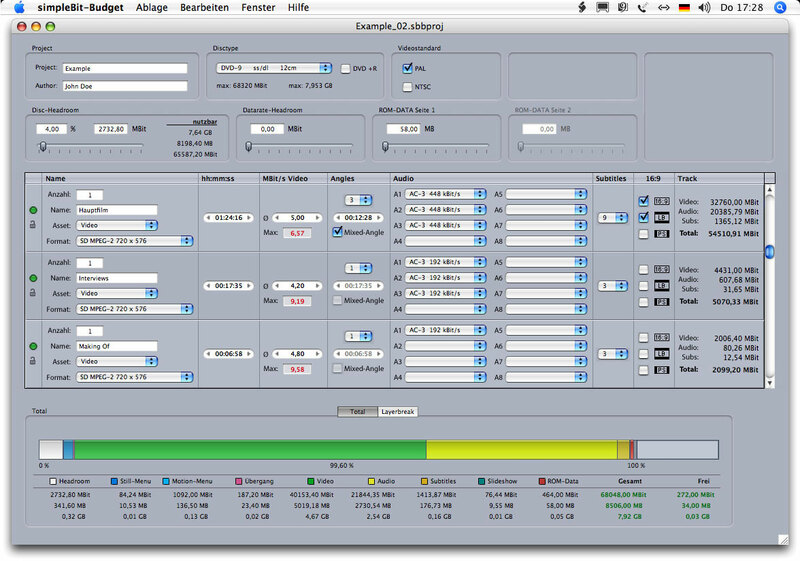 eric pautsch on 14 Jan, 2008 at 9:33 AM (…) But the bitrate calculator looks killer!! via E-Mail Hallo! Ich habe zufällig das Programm “simpleBitBudget” gefunden…KLASSE! Schön programmiert & praktisch!!! VIELEN DANK!!! !